Does anything Royal cater to your tastes or stimulate your fantasies? Indulge in a bit of a gamble every now and then? If your answer to all of the above is in the positive, then you’ll simply be amazed by the Online Fruits’N Royals Casino Slot Machine game, presented by Novomatic. The classic theme and music of the Online Fruits’N Royals Slot Machine game is a wonderful concoction of the colorful world of fruits and a parallel regal effect, inducing a sense of royalty. 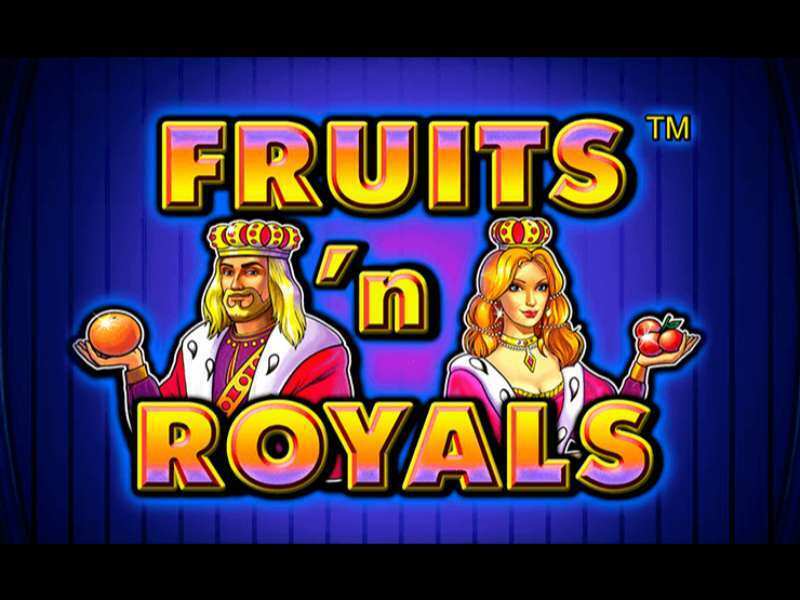 So play Fruits’N Royals online to experience the nostalgia and old – world charm of the Casino in the earlier days. The prizes to be won in the game are in the real money, truly justifying the Royal theme. The game is absolutely free, and is entirely online, thus requiring no download. The primary objective of the Play free Fruits’N Royals Casino Slot Machine game is to get a combination of similar icons on the reels. One has to get at least 2 or a maximum of 5 matching icons for a payout to be given effect. The “Star” symbol acts in your favor, replacing the necessary symbols, to register a winning scenario. As soon as you enter the game, you are asked how many credits you want to play with. Use the “+ / -” buttons displayed on the screen to adjust this. Next, the Stake per pay line may be adjusted by using the particular set of “+ / -” buttons. Now, there are Two options for the player. Either click on “Start” to start spinning each reel manually, or click on “Autoplay” to initiate automatic spinning of the reels. Clicking on “Autoplay” for the second time will stop the automatic play and display the results. Please refer to the in-game paytable for a detailed list. Note: A betting line is held as ‘winning’ when the matching symbols are formed in a linear fashion, from left to right, without any interruptions in between, except in the case of “Scatters”, which pay in various directions and combine anywhere on the reels. Scatter hands you a payout of starting from 3 adjacent scatter symbols, up to a maximum 50x in case of 5 adjacent scatters. Scatter wins are also in addition to any betting line wins as an added bonus. So, you have landed yourself at least 2 adjacent combinations, have you? Willing to test your luck for just a little bit more? Just click on the “Gamble” button in the interface. Playing the Gamble gives the player an option to Double the accumulated winnings. If you feel you have had a fill of your share of luck, at any time press “Collect” on the gamble screen to return to the actual game. The Fruits’N Royals Online is guaranteed to bring to you the best experience when it comes to online casino slot games. What it lacks for, in the availability of Bonus Rounds, it makes up for a wonderful assortment of a fun and Enlivening theme and music, free online gameplay and great prize handouts. The lucid User Interface makes it real easy to play and win big. All these factors contribute to the fact that Fruits’N Royals Online has been really popular over the past few years and it has become one of the most popular games of the online casino slot games genre, in the Global arena, particularly in the UK, where the people seem to be engrossed by it. Seems like people in the UK are all for the King & Queen and the Royal Fruits that come with it. And certainly, doesn’t hurt to win a few in the process does it? 0 responses to "Fruits’n Royals Slot"